In episode 22 Gabriel Ramos covers some of the most vital internet marketing tools ranging from WordPress plugins to software that most of us use to power our businesses online. WordPress plugins that will help you convert lookers into booked phone meetings. Internet marketing tools and software that will help you automate your online marketing efforts using social media (dangerous if used incorrectly). What not to do on social media when using these tools to prevent yourself from ending up in social media jail (banned accounts). Why most of us prefer using Hostgator over other services for website hosting. GoDaddy – The best place for buying a domain to brand YOU. I recommend picking up a domain in the format of www.firstnamelastname.com if possible. If you're name is too common just mix it up with www.workwithfirstnamelastname.com or something of that nature. Hostgator – By far one of the top notch web hosting service providers for your domain. This will be the company that provides the internet property your website will sit on. The have the best customer service in the industry and are available around the clock 24-7. Aweber – Aweber is the preferred email marketing responder of the internet and network marketing communities. I've tried them all: mailchimp, constant contact, etc., and nothing comes close. 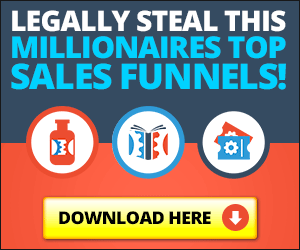 Facebook Groups Autoposter – Although this software can be dangerous if used incorrectly it is a great way to advertise to a target niche while you sleep! Instagress – Just like the Facebook Groups Autoposter, Instagress can be deadly in the hands of an inexperienced marketer. Make sure to always provide value first, and never send unsolicited links when you're automating your marketing efforts. Vcita – This is our secret tool for booking phone meetings without actively reaching out to make them happen. People simply click on the tab, open up the calendar, and book an appointment with us after visiting our website. Purely awesome!